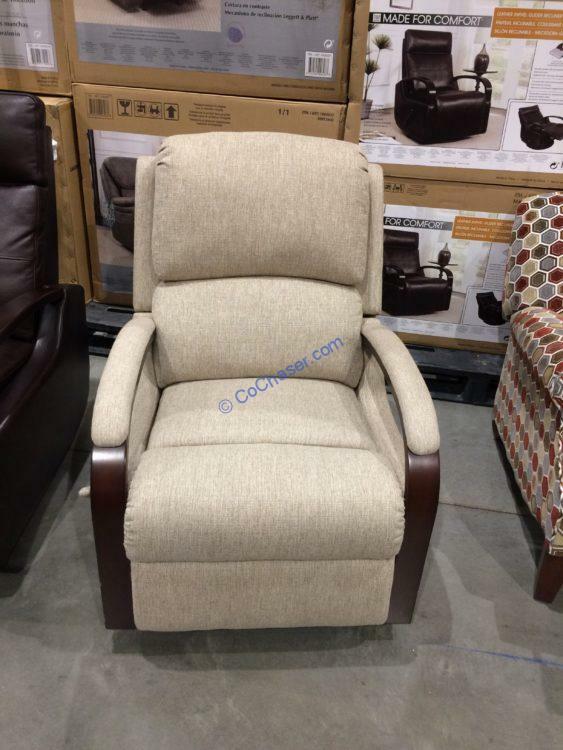 This Synergy Home Fabric Swivel Recliner features exceptional construction with comfort. Its durable, neutral colored fabric envelops the hardwood frame while sinuous springs and high-density foam provide a structured, even sit that will retain shape and comfort over time. The premium Leggett & Platt mechanism smoothly reclines, swivels and glides, providing function and relaxation.